If you're looking for a soul-awakening escape from the rat race then look no further than the gorgeous Barossa Valley. Nestled in one of the finest wine regions of the world, its vine draped rolling hills and endless skylines provide the quintessential adult getaway, not to mention world-class fare and some of the best produce in Australia. Want to know more? Read on to discover our Barossa bucket list. Maggie Beer is perhaps the loudest cheerleader for amazing local produce from the Barossa, so a stop at her legendary Farm Shop is a must! Here you can browse all of Maggie's stunning products and, even better, you can sample them to your heart's desire. We recommend picking up an offering from her "Picnic Fare" menu (think duck and orange pate, bitter oranges in verjuice, wood oven baked bread and freekeh salad - yum!) and enjoying it in the gorgeous surrounds. Just because you're in the wine capital of Australia doesn't mean you can't find a decent beer! If lovingly crafted, boutique brews are up your alley then a visit to The Barossa Brewing Company is a downright necessity when you've had your fill of vino. Perched in the quiet hamlet of Greenock on the Western slope of the valley, you can take a tour of this historic brewery and delight in a tasty beer created using traditional methods and only the best local ingredients. Cheers! There is no better way to immerse yourself in a region's culture and produce than at their favourite farmer's market, and the Barossa's weekly market is no exception. Wander the stalls and delight in all the best local fare with loads of fresh fruit and veggies, meat, fish, smallgoods, cheeses, breads, pastries, pickles, condiments, artisan goodies and fresh cut flowers - the options are endless! Get down early to sample the market brekky with free range B&E rolls and fair trade coffee before a full day of exploring the marketplace. Chateau Tanunda is undoubtedly one of the finest wine estates in the gorgeous Barossa. Steeped in rich history (it was the Barossa's first winery way back in 1840!) 'The Chateau', as it's known locally, produces an award-winning range of whites, reds, rosés and sparklings. Take a tour of the iconic estate, visit the highly sought-after cellar door or grab a picnic basket and load up on local artisan goodies from the on-site larder for a picnic in the grounds - and don't forget the wine! The folks at the Barossa Valley Cheese Company are the proud producers of the best artisan cheese in the Barossa. Whether you're after a taste of "Barossa Haloumi" or you fancy a portion of goat's milk curd, your tastebuds will be both delighted and awakened by this cheese cellar's offering (yes, it's just like a cellar door but for cheese!). They've even created three specialty drops to perfectly complement their range of 19 cheeses because, after all, what goes better together than wine and cheese? If you're looking for a next level cellar door experience in the Barossa, then this local gem is definitely for you. The team at Artisans of the Barossa are purveyors of small batch, sub-regional winemaking and offer an incredible array of locally-made artisan wines which you can enjoy from their purpose-made Tasting Room. Even better, Artisans of the Barossa has resurrected the 'Long Table Lunch' with Chef Mark McNamara creating a "wine friendly" menu best enjoyed with friends on a sunny afternoon. After days of gorging on wine and cheese you may find yourself wanting to get outside and moving. The Barossa has countless tracks and trails for everyone from cycling aficionados to two-wheeled beginners. For those after a leisurely amble with plenty of scenery, the Jack Bobridge track is mostly sealed and offers plenty of rest stops along the way (all the better to take in the gorgeous surrounds!). If you're more of a thrill seeker, Mount Crawford forest has plenty of trails ideal for mountain biking with a view. Perfecting the fusion of modern Southeast Asian cuisine and outstanding local produce is FermentAsian. Despite being relatively new to the Barossa dining scene, this restaurant is kicking food goals left, right and centre, quickly earning accolades for its incredible fare. Nearly all of the protein on the menu is locally sourced (Barossa Berkshire pork belly with ginger and orange sauce, anyone?) and every dish includes herbs from the kitchen's own garden. Be sure to try the tasting menu which showcases the eatery's best dishes, with the option of matching wines for a true Barossa experience. Hentley Farm is the ultimate foodie's indulgence, with its elegant dining room set among the vines and first-class fare. Diners can choose between two set menus: The Discovery, featuring exciting and bold flavour combinations or the Du Jour which has been lovingly designed for those wanting to experience Hentley Farm's culinary masterpieces in a shorter time. Matching wines make it a truly decadent experience. Considered the destination for the best in South Australian dining, Appellation is very deserving of its place on this list! With a focus on creating dishes that reflect the seasons and made using the best local produce, the offerings at this Barossa institution are sure to impress. Try the butter-poached Southern rock lobster paired with dill and mascarpone risotto or beetroot terrine with lashings of goats curd, toasted walnuts and tarragon vinaigrette. Pair your meal with one of their wines from the list of over 500 local, Australian and international drops. Make no mistake; Cafe Y is not your everyday cafe. Perched riverside in the beautiful Barossa, this Greek-style eatery serves up top notch fare showcasing impeccable flavours and the best produce from the area. Pop in for a scrumptious brekky (the veggie stack with free range eggs is heavenly), a relaxed lunch or a sweet Devonshire Tea for an afternoon pick-me-up. Also on-hand is Cafe Y's gourmet meat and seafood platters for two, packed with local produce and finished off with Greek flair. 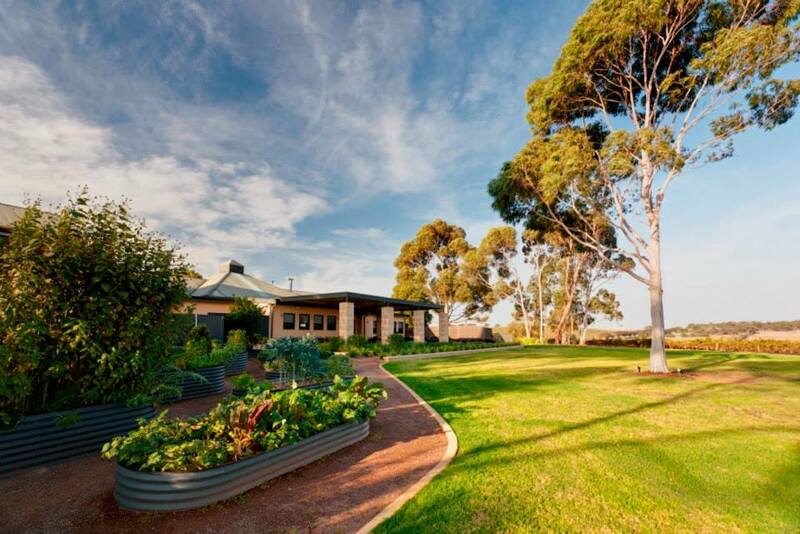 For a well and truly luxurious Barossa escape, look no further than The Louise. Enjoy king-sized beds, soft robes and slippers, fluffy white towels, fresh linens, rain showers for two and the view of the vines from your private courtyard. If you can manage to leave the room, The Louise's staff have an excellent knowledge of local vineyards, restaurants, sights and sounds. During your stay, have a meal at the aforementioned Apellation, the resort's award-wining restaurant. This luxurious cottage sits on ten acres of private vineyard and is the ultimate destination for a romantic getaway. Enjoy complete, self-contained relaxation with that special someone and soak up the best of the Barossa with a complimentary Heritage Tour, or simply stroll the Seppeltsfield vineyards and winery with the gracious hosts. You'll feel miles away from it all, with the added bonus of being mere minutes from the best local attractions. There's even the option of having your room stocked with gourmet provisions (all from Barossa suppliers) so you can sit back and completely relax. The Abbotsford Country House acts as a home away from home for its guests, providing country-style warmth and hospitality, with touches of luxury. Set amongst the rolling Barossa hills on 50 acres of farmland, you'll be immersed in all that is great about this outstanding region. Stay in the Colonial-style guest cottages and enjoy a spacious, individually decorated suite trimmed with local antiques and equipped with all the luxuries of home. The morning breakfast fare is packed with regional produce, and for dinner enjoy a delicious meal with handpicked wines from the homestead's own cellar.